The operation was finished in the morning. Eig entered the operating room with cring so hard. 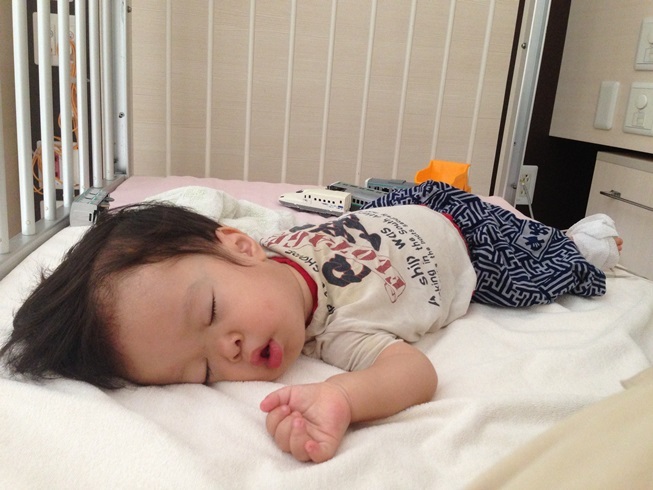 After the operaton for one hour, he was several sleeping several hours and got up and stayed playing room. He was dignosed as good, so he could go back home in the evening time. I am really appriciate for my wife devoting yesterday and today, everyone’s help and cheering up. 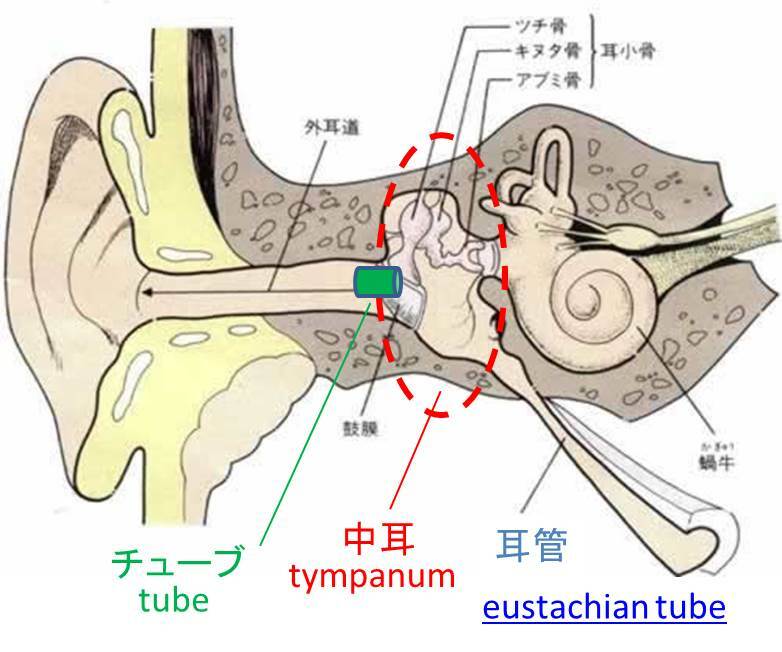 This operation was to treat for secretory otitis media that is to open tympanums and insert tubes to discard lquide in typanum. 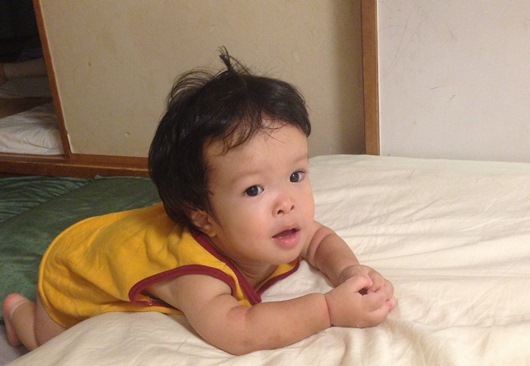 before he sleep at night, I went home and see and communicati wite Eigo. I am really sure Eigo’s hearing condition has got quite good. And he laughed and move more active than he did since then. I’m looking forward to his recover difficulty of hearing, improving lauguage skill and retriving delay of it that is nealy 1 year. it showes the sample pic. before and after the operation of secretary otitis media. The green one is tube, you know. It had beter to keep it for 2 years. Because this desease is easy to got again and again. One risk, tube is too small to keep easily. it often to be taken often naturally. 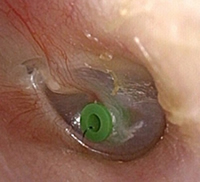 In 1/20 ratio, treparation occurs like this below. Although we are to be taken operation, it is available for 7 years and older.